The Red Oaks School is a private, independent day school in Morristown featuring two internationally acclaimed academic programs: Montessori and International Baccalaureate. of students have access to innovative STEAM programs in our classroom and Makerspace. internationally acclaimed academic programs: Montessori for primary & elementary, International Baccalaureate for middle school. 100% of middle school students receive secondary school entrance counseling. of Red Oaks families originate from 6 continents and 26 countries and are bi­lingual. 100% of 7th and 8th grade students participate in Model U.N. in New York City. of our exceptional teachers have advanced degrees, Montessori credentials, and/or IB training. years and counting since Red Oaks was founded. 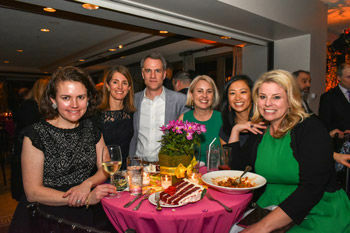 This year's Spring Benefit and Auction was a blooming success! Read More about A Blooming Success! 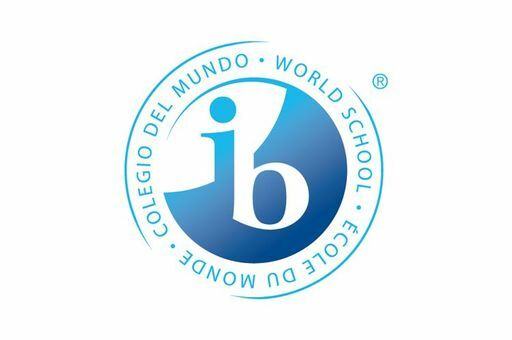 The IBO has invited three Red Oaks teachers to present our school's Social Emotional and Executive Skills curriculum at the 2019 IB Conference of the Americas this summer! Red Oaks Takes Camelback Mountain! 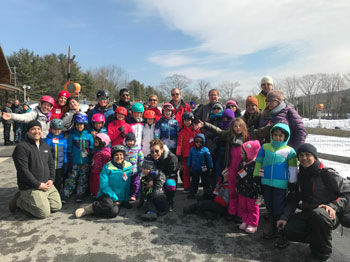 Over 80 members of our Red Oaks family attended our annual snow tubing event on Sunday, March 3! Read More about Red Oaks Takes Camelback Mountain! 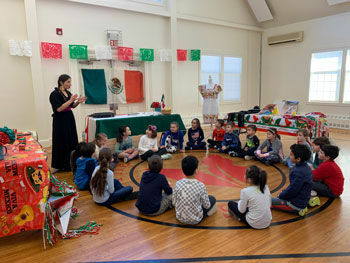 Last week, Spanish teacher Señora Martha Trevino brought the land of Mexico to the Cutler Campus! Read More about ¡Viva México! 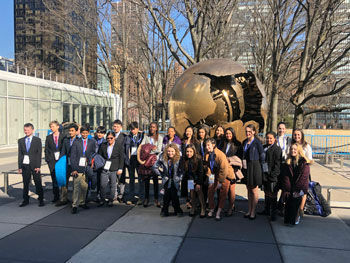 It was another successful adventure for The Red Oaks School at the Montessori Model United Nations! 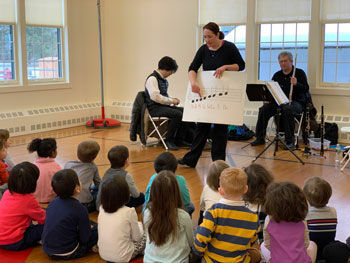 Primary classrooms were in for a treat on Friday, February 15, as the City Winds Trio stopped by for a morning of music! It's a Bird! It's a Plane! It's a...Snird?! 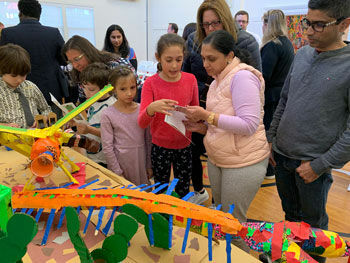 Last Friday, the Cutler Campus Enrichment Room was transformed into a zoo, as Lower Elementary students and parents celebrated the culmination of the Zoo Crew science unit of study! Read More about It's a Bird! It's a Plane! It's a...Snird?! Middle School and Elementary Unite Over Design and FUN! 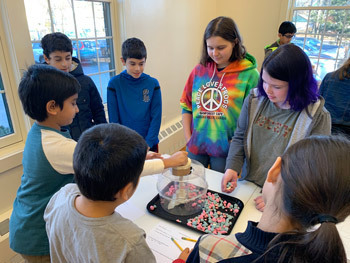 By following the steps of the IB Design Cycle, 5th and 6th grade students had to design and create toys that would help Elementary students better understand the concepts of force and motion. This week, they ventured to our Cutler Campus and presented their creations to our very own Upper Elementary students! Read More about Middle School and Elementary Unite Over Design and FUN!